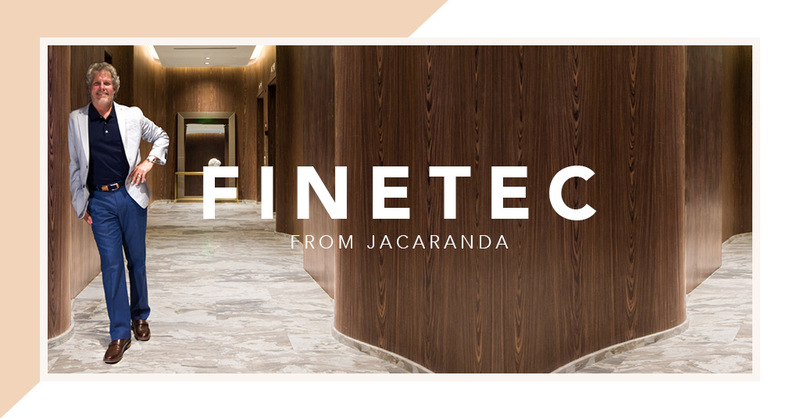 FineTec from Jacaranda is an unparalleled wood veneer product that can be used for commercial architectural or decorative projects. Thanks to our unique and rare burl designs made using consistently available wood species, you can have the opportunity to own some of the most stunning wood veneers in the world. With Jacaranda, you never have to sacrifice quality or budget to get the exotic beauty and one-of-a-kind designs you want. Burls are patterns of random cell growth rather than symmetrical rings. They appear as knobs or warty outgrowths on living trees. When a tree is damaged, a dormant bud awakens and goes to work to repair the damage. The resulting interlocking cell growth is strong and durable to protect the tree, and once it is cut, it is exquisite in appearance. Burls are highly valued by craftsman and can be used to create many types of veneer. Wood veneer offers several benefits over conventional lumber. Wood species that are prone to warping and splitting can be made into veneer, which can be stabilized by bonding the wood to a sturdier substrate. However, the veneer is also quite flexible and can be applied to contoured and curved walls and surfaces. Veneer is also more economical than lumber. The value of a log is increased by as much as 300 percent when used in veneer instead of lumber. This is especially beneficial when it comes to rare and exotic woods. FineTec is available in standard sizes 3’x8’, 3’x9’, 3’x10’ and 4’x8’ foot sheets and can be custom cut according to your specifications. You can choose from a wide variety of grain patterns, cuts and color. You can view all available patterns here or contact us directly. We can digitally print your FineTec choice and custom stain it according to your preferences. As the demand for wood grows, wood veneer offers a sustainable alternative that allows us to provide more products with less environmental impact and less waste. We use only species and trees that produce maximum yields with minimal waste and have patented our process to increase the yield of every log we use. The veneer that once required three trees can now be made from just one. By harvesting only specific trees from old growth forests, we are able to maintain a healthy environment for younger, more robust trees. Plantation trees supplement forest-harvested trees. The plantations use sustainable methods to ensure a plentiful supply of desirable species without diminishing exotic wild species, and they can be augmented, dyed or otherwise altered to recreate desirable traits. Contact Jacaranda today to learn more about how our fine veneers can turn your office, healthcare facility, retail location or performing arts center into a place of beauty and function.